Isparta is a university town. 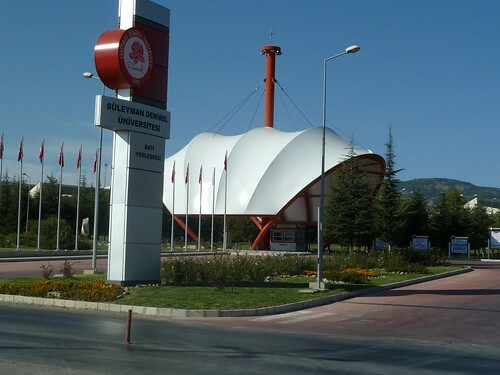 This is the entrance to Suleyman Demirel University. Suleyman Demirel was Turkey’s Prime Minister in the 60s and 70s, and then its President for most of the 90s. He was from a village near Isparta, so many things around here are named for him.